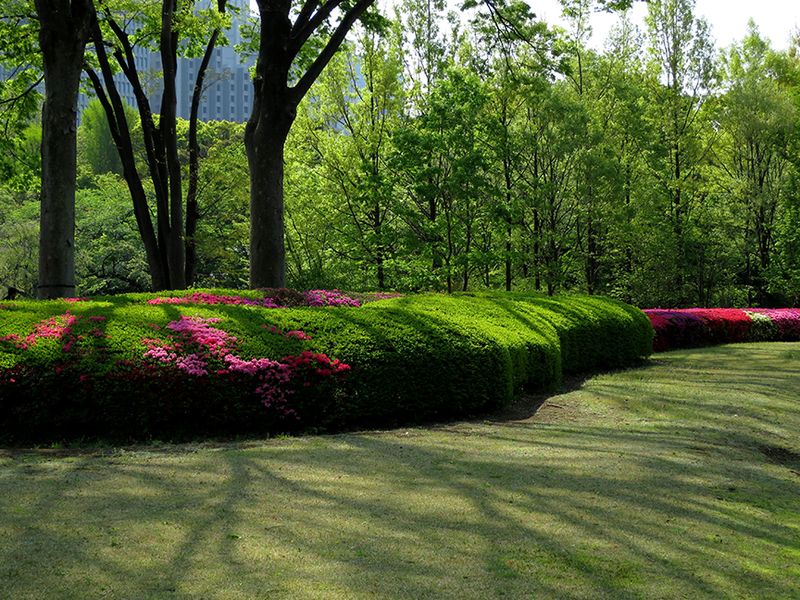 This little garden is filled with hedges that look like abstract paintings made with flowers. 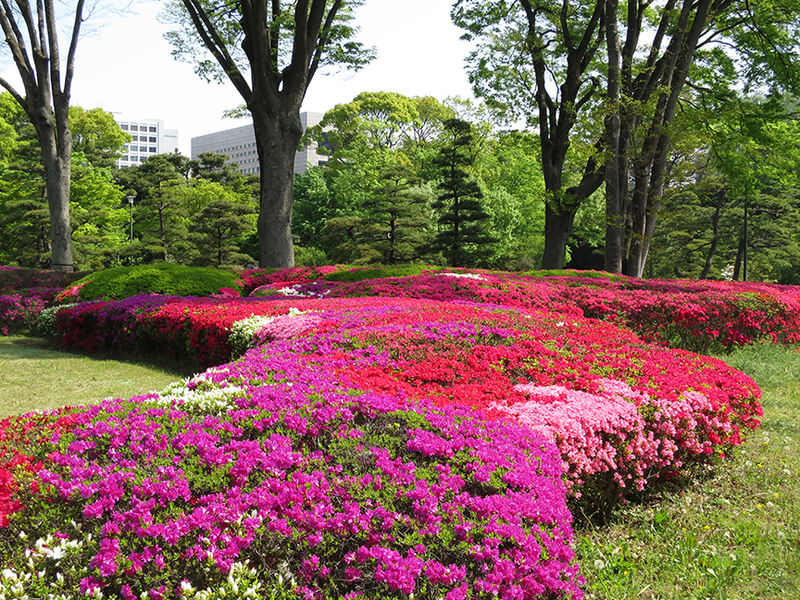 Most of the year, the Imperial Palace gardens are totally missable, but during azalea season, you have to GO. 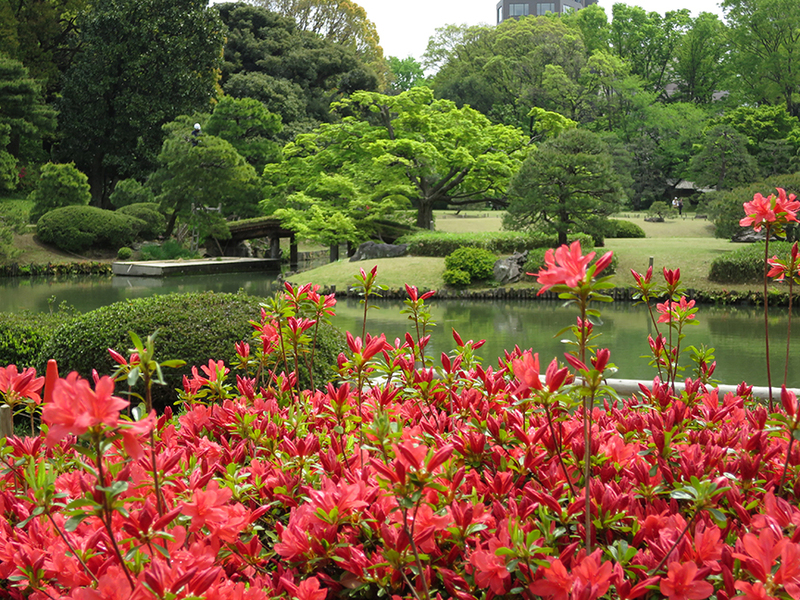 The first azaleas to bloom are the red ones, the last are white. 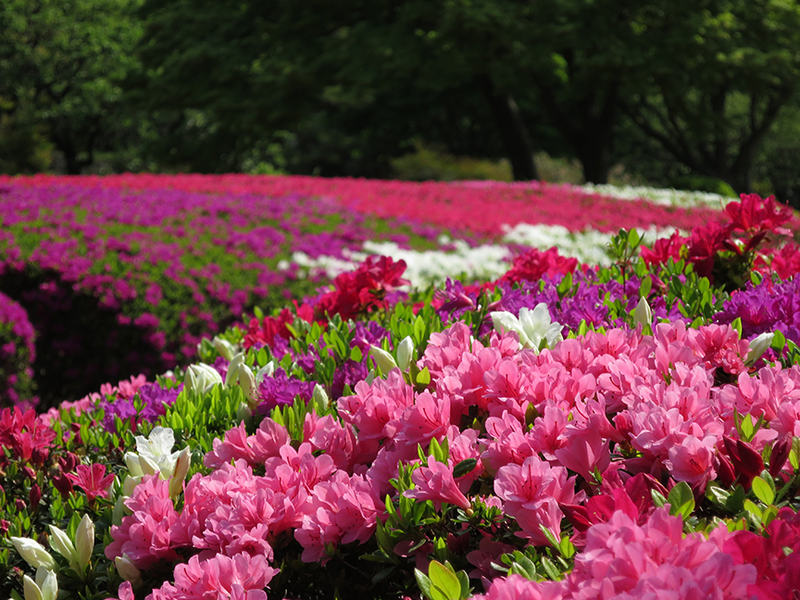 At any one time, several colors are in full riot, but the mix changes every day. 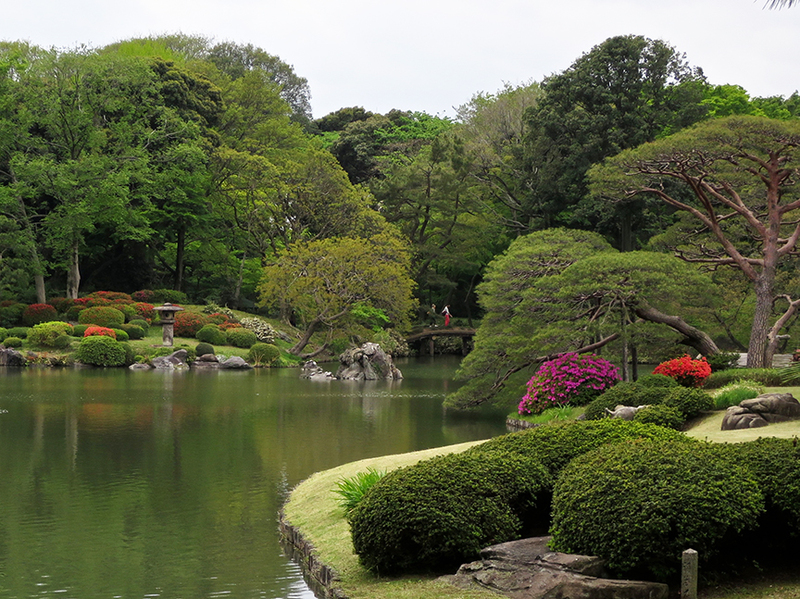 This shrine in Northern Tokyo is one of my favorites in any season, but (duh, I’m sure you can guess) it’s famous for its azaleas. 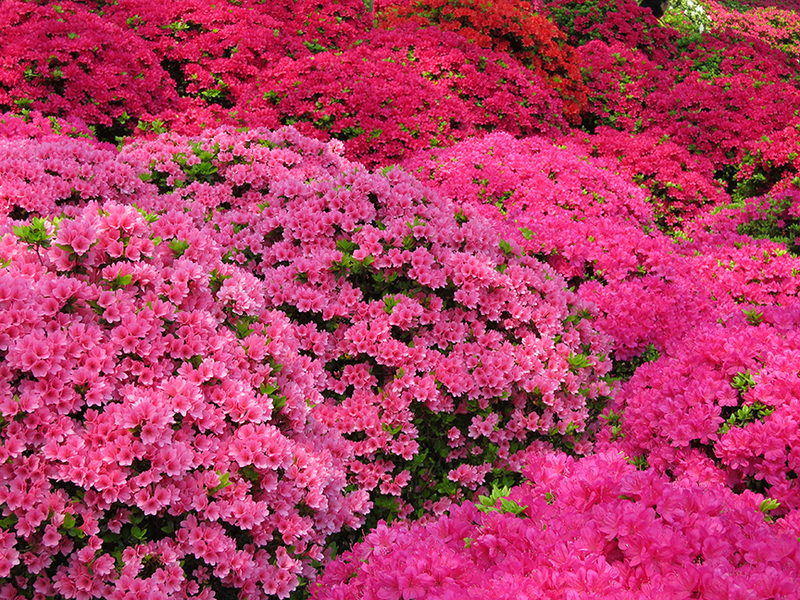 How do they get them to bloom like that? 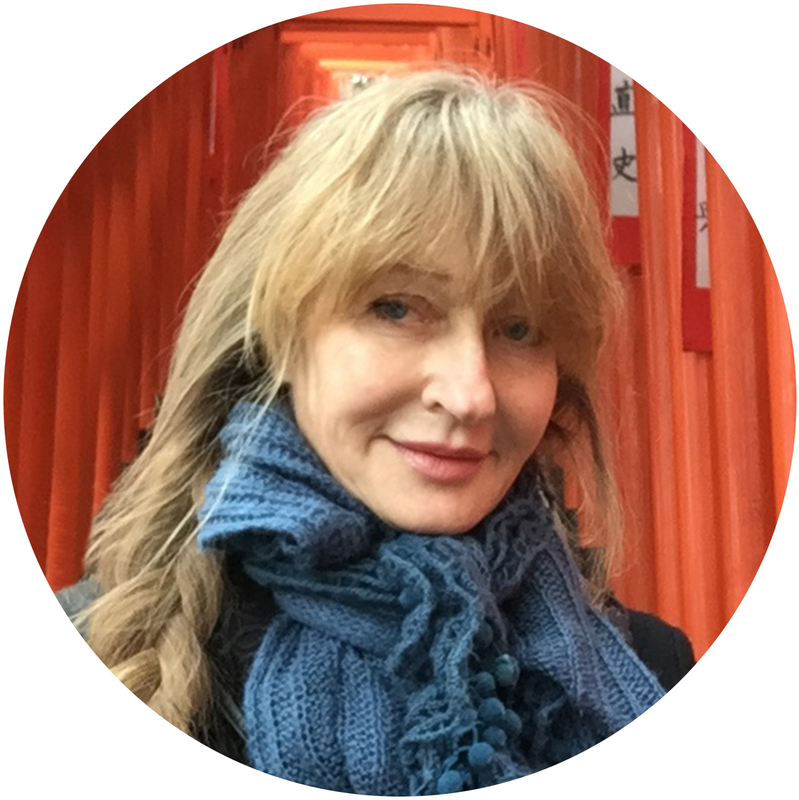 Kind of amazing, isn’t it? 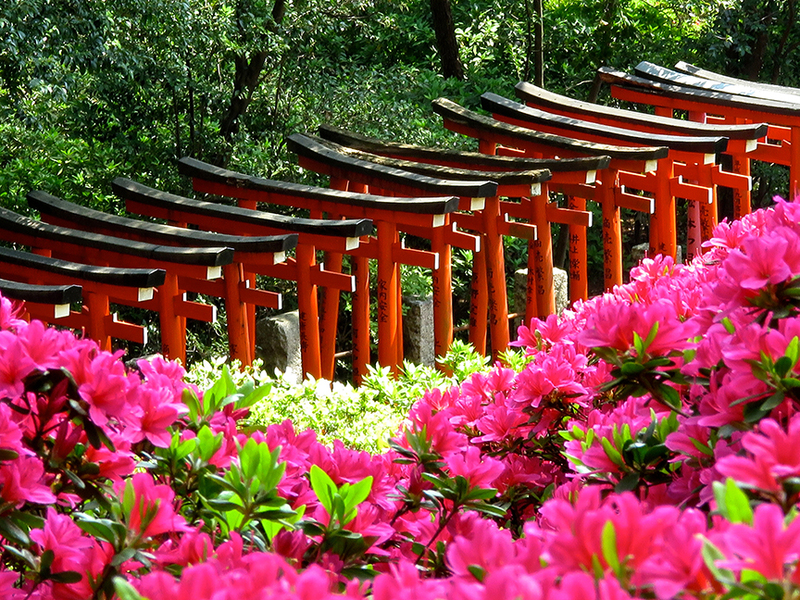 The added bonus of seeing the azaleas at the Nezu Shrine is that you can also walk through their tunnel of torii gates. 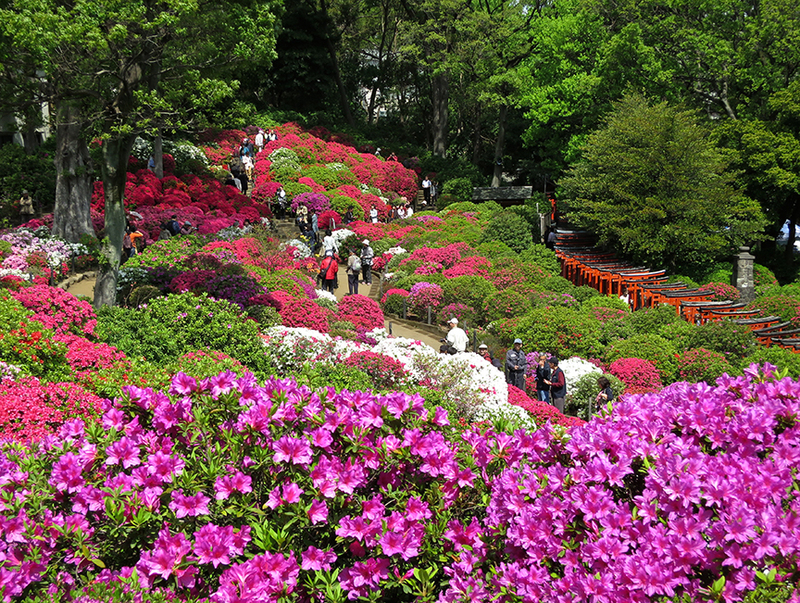 Rikugi-en has an “azalea mountain” that is planted in all different colors, but they’re allowed to grow in a more natural style. 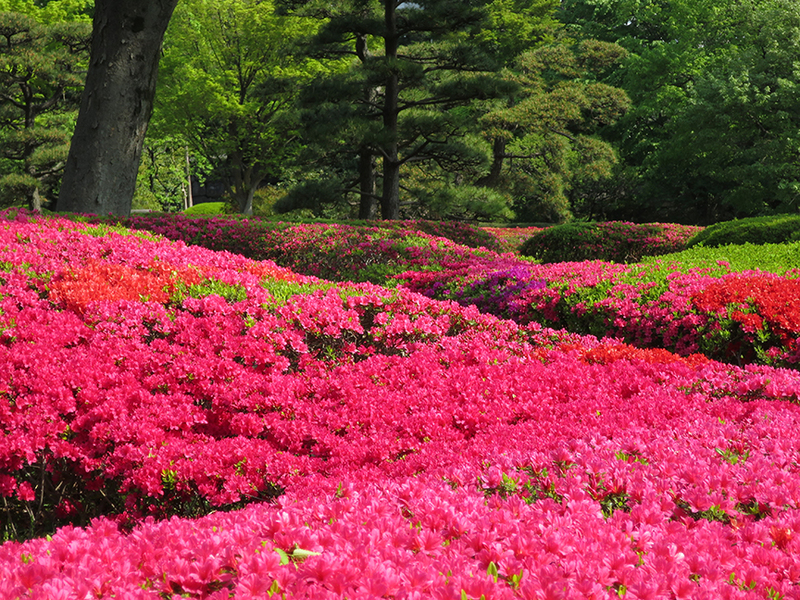 The azaleas at Rikugi-en are more like nice surprises than an ambush, as you stroll through this beautiful garden.